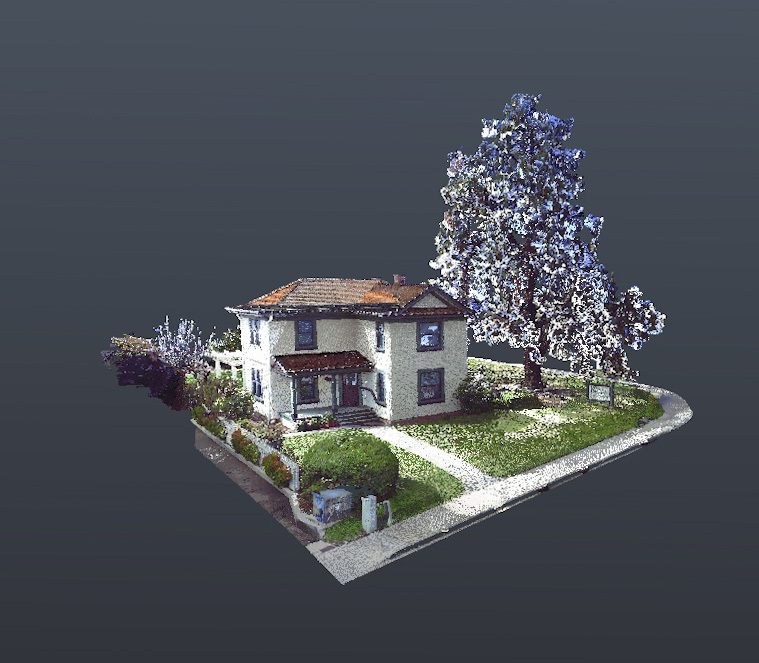 During a laser scanning trip to capture several Mid-Century structures in La Mesa, California, we visited the La Mesa Historical Society. The society is located in the 1908 McKinney House which is a period furnished (1908-1920) museum and that is a 110-year-old pine tree! 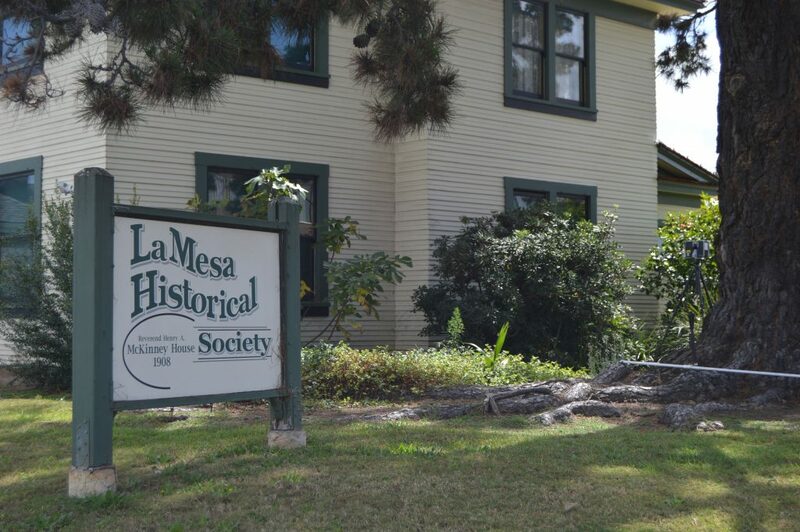 In addition to the period furnished McKinney House, the La Mesa Historical Society holds an expansive archive addressing the full breadth of La Mesa’s heritage. 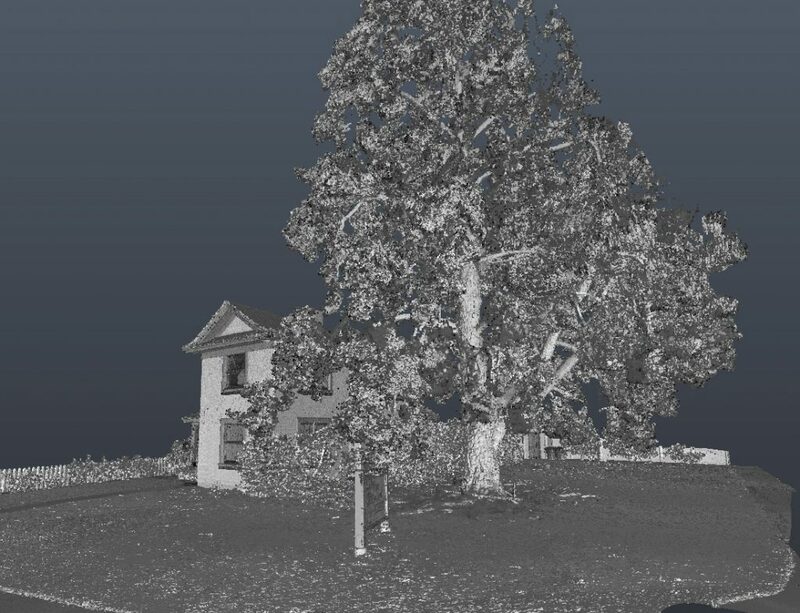 Be certain to click the POINT CLOUD tab atop this page to experience the Potree feature where you can maneuver the McKinney House point cloud. Additional information about the historical society can be found here. If your travels take you to La Mesa, be certain to visit!! ChronoPoints would like to thank the La Mesa Historical Society for their permission to scan.